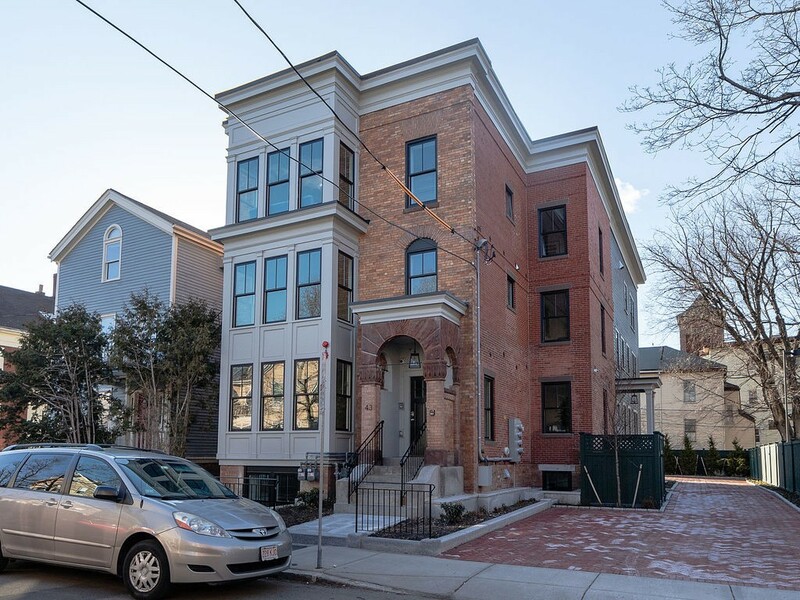 On Essex In Between Bishop Allen Drive And Harvard St.
Rare opportunity to own an exquisite, completely renovated home near trendy Central Sq Cambridge. The high-end finishes and impeccable craftsmanship will exceed your expectations. The absolutely gorgeous main level with private entry is gracious and inviting with an open, sunlit living and dining layout set off by a majestic gas fireplace. The gourmet kitchen pops with a quartz waterfall island and countertops, stainless Thermador appliances including an over-sized hood, and designer fixtures. Enjoy a beverage on your private patio located right off the kitchen! Rounding out the main level is a full-size bedroom and full bath. Retreat to the lower level for 3 more bedrooms, including a luxurious master with en-suite bath. Features: Comelit intercom security system, 2-zone heat & a/c with Nest, on-demand Navien hot water, laundry hook-ups, and Marvin windows. One off-street parking space is included. Close to parks, restaurants, shops, Hvd, MIT, & the Red Line.